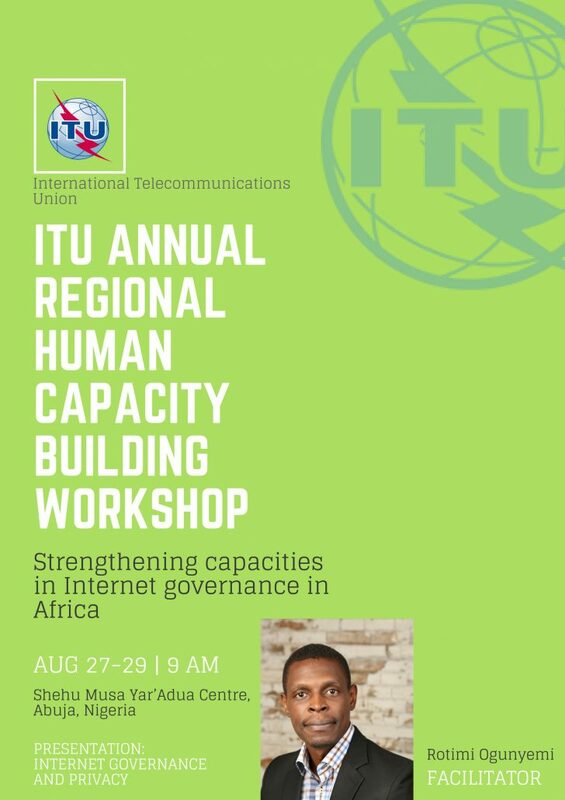 Rotimi Ogunyemi will be a facilitator for the Session on Internet Governance and Privacy at the ITU Annual Regional Human Capacity Building workshop. The International Telecommunication Union (ITU) and the DiploFoundation in collaboration with the Digital Bridge Institute are organising the ITU Annual Regional Human Capacity Building workshop for Sub-Saharan African countries. The event is scheduled to hold at Shehu Musa Yar’Adua Centre in Abuja, Nigeria.